Rimrider Adventures: Book 2 New friendships forged, old enemies emerge, and Jane Benedict’s life takes an unexpected turn. The celebration of the victory at Golgotha has barely ended. The Freetrader Council tasks Jane to find the leewits and convince them to build an alliance with the colonists to destroy United Earth Corporation’s hold over Rimrock. With Gem at her side, Jane makes the difficult journey to their secret lair only to discover hidden dangers and a less-than-warm homecoming for Gem. Creating a pact with the alien race will be trickier than expected. 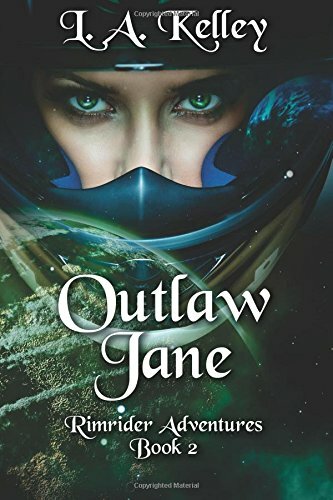 Battling both perils in deep space and a horrific plot to crush the colonial rebellion on Rimrock, Jane and her friends dive into new adventures on the galactic rim. L. A. Kelley writes SF/Fantasy adventure stories with humor and a touch of sass.